Yeah you heard me right. A few times I've mentioned that I'm going on a long-term journey and that is soon to become real. 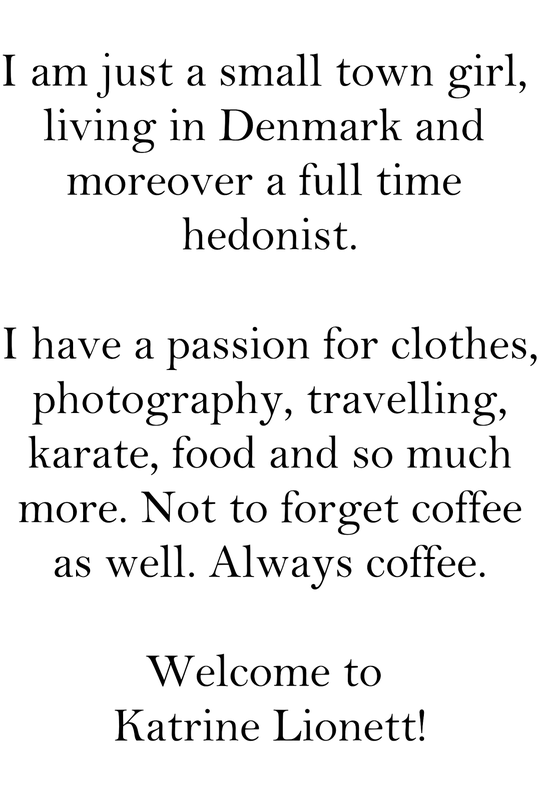 Tomorrow, the 6th of January I'm leaving Denmark for nearly two months with my dearest friend and I'm excited as hell! (That is an understatement). 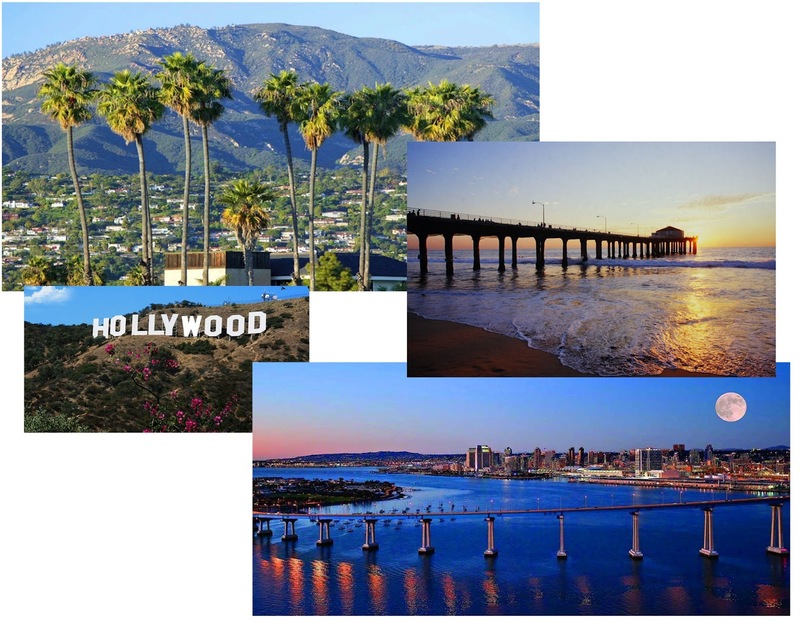 Our first destination is Santa Barbara in California where we're going to visit our common friend, whom we went to school with as she's studying over there at the moment. She lives in Santa Barbara, but we've planned to go seeing LA and San Diego as well. I'm both excited to see our beloved friend but to discover California as well. Our second destination from LA is La Paz in Bolivia where we're going to stay a few days on our own before our next trip to Salar de Uyuni starts. 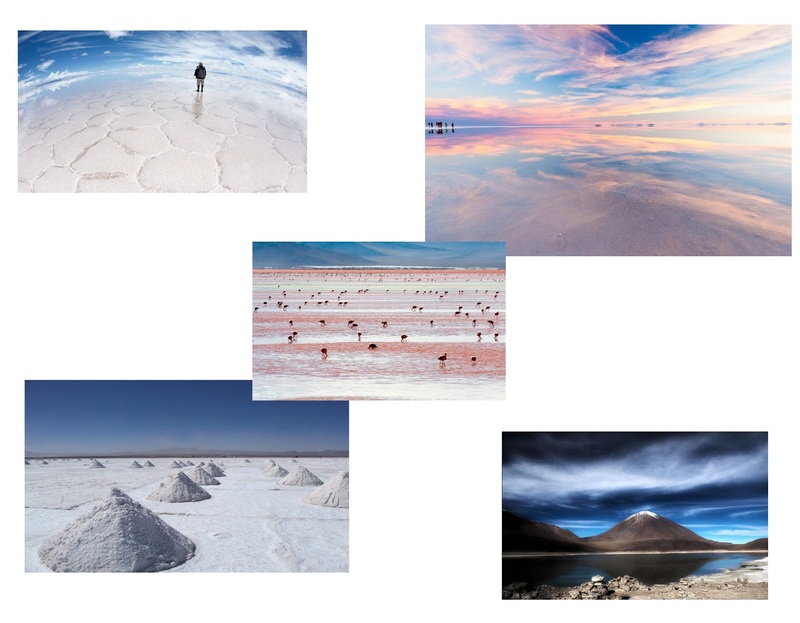 We're namely going to spend five days in the salt flats wandering around in the beautiful nature among hot springs, volcanoes and cactuses. That's gonna be different. And I kinda hope so that it will rain during one of the days cause then the sky will be reflected in the water as you can see in one of the pictures and I'd be thrilled to see that in person. After our trip in the salt flats we're going on a three week's trip from La Paz to Lima in Peru. We're going to see a thousands af things but among them we're staying a few days at Lake Titicaca, which is the lake to the left. We're also going to see (after we've hiked our way up there) the very famous Machu Picchu that is the ancient inca ruins. We also have the chance to see the Nazca Lines, which the picture to the right shows. The lines, which is cut out as animals are a mysterious to the people today as they were made hundreds of years and ago and no one knows how they were actually capable of doing that at that time. 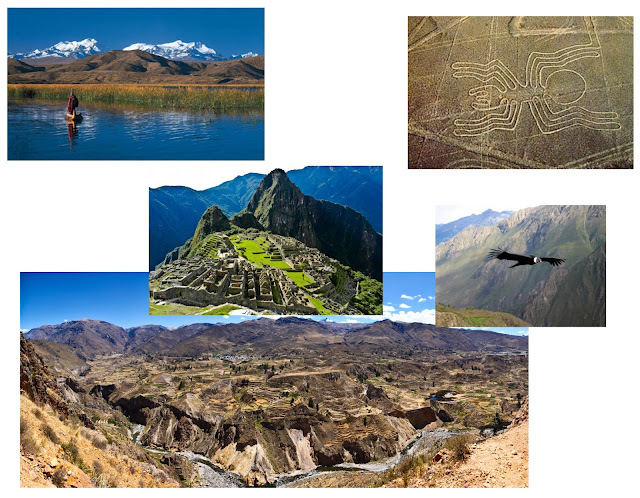 Oh and we're also going to see Colca Canyon where these enourmous birds (haha) are flying. Hey hey and then we're going to rumble in the jungle in Quito, Ecuador. 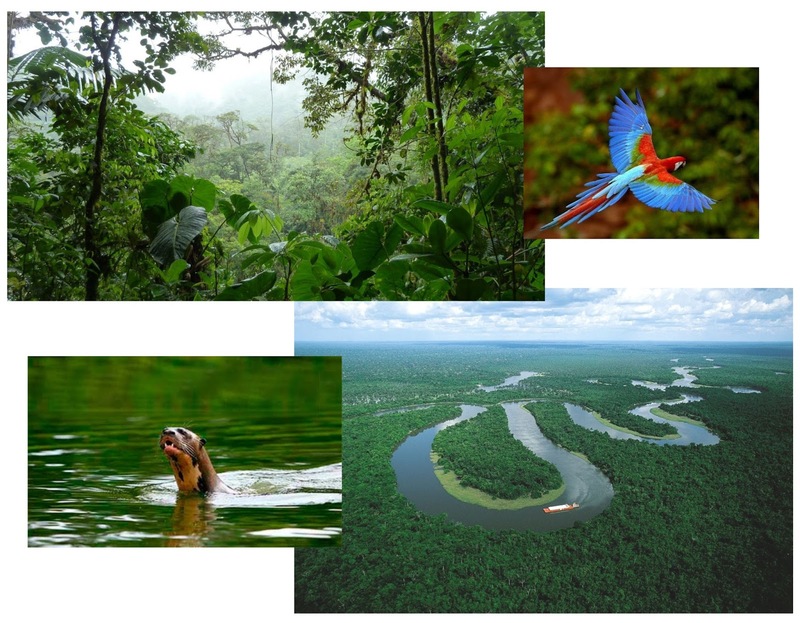 I'm naturally talking about the Amazon rainforest, which we're spending five days in. I'm especially excited about this as this is where the animals are bigger (and more disgusting) than here in Europe. However, I think that it will be good for me experiencing this as spiders at home won't be that frightening anymore compared to those I'll possibly find in the jungle. As a matter of fact we're going to visit a school in the jungle as well and that will be certainly interesting. 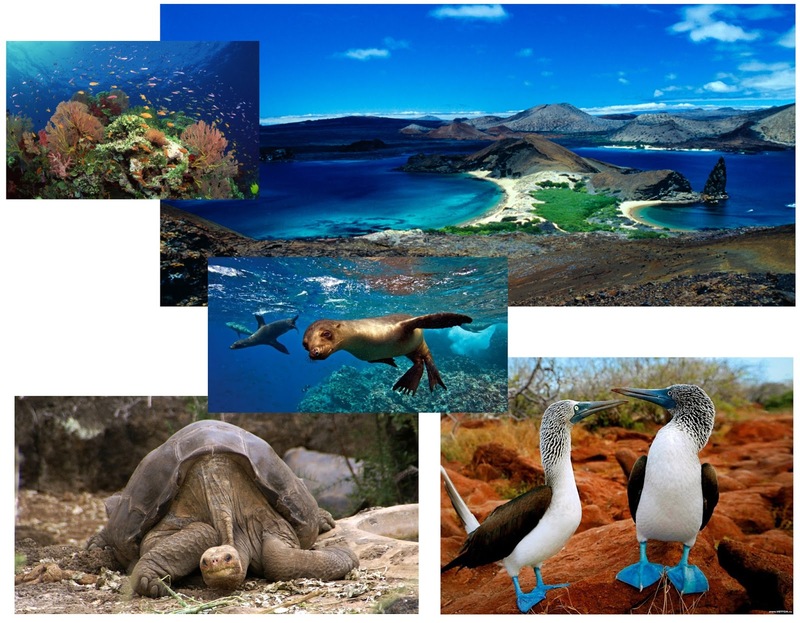 Our very final destination is the Galapagos Islands that we've the pleasure to spend eight days on. We're gonna walk through the beautiful landscape awhile discovering the rare, funny and interesting animal species that the islands are filled with. It will be so intriguing watching all this as we've heard so much about the islands and so much about what kind of research Charles Darwin did there. So, this is what I'm gonna do the next two months and I'm so ready. My friend and I have planned, read and bought so many things for this trip that I'm longing to jump on the first plane hungry for adventure. I will hopefully show you some pictures when I get back home. Meanwhile I've planned a few posts for you so it won't be that silent in here.